*Discounted rate ($8) applies to groups of 5 or more attendees. 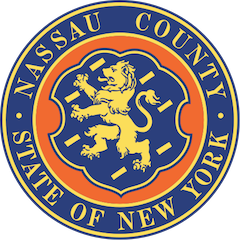 There is no admission fee for children 4 years old and under. Monday: Closed Tuesday – Saturday: 10am-5pm Sunday: Closed NOTE: Closed on Federal and State Holidays. Closed on Tuesdays that follow Federal and State Holidays that fall on Mondays. Closed Friday after Thanksgiving and closed, annually, the first week in July. Use the”Donate” button for all payments. You will be able to enter the category of your payment after you select the “Donate” button. The long-neglected history of an inventor whose genius revolutionized a world-wide industry. 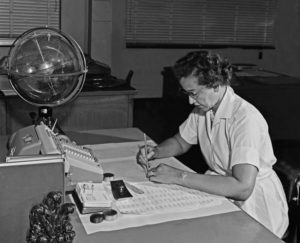 Women of Nasa is an untold story of the African-American women who helped America win the space race. 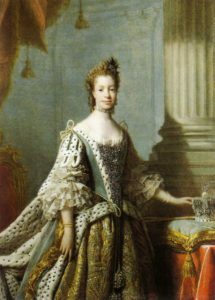 An exciting exhibit that highlights two English queens whose ancestry traces back to William the Conqueror. 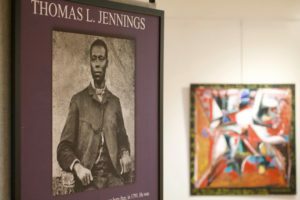 The Upstanders: Jennings, Jennings and Jennings is an exhibit about the Jennings family of New York. Father, mother and daughter are iconic figures whose contributions have been grossly ignored for decades. 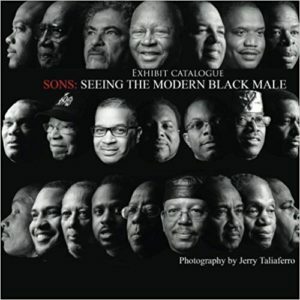 “Sons” is another astounding exhibit of photography as art by noted photographer, Jerry Taliaferro. 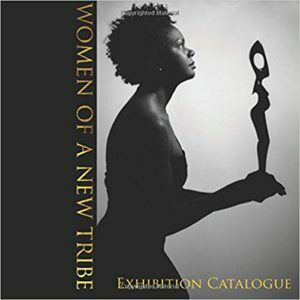 The pictures are exhibited in this catalog, but the actual exhibit is a unique interpretation of the signs of the times. 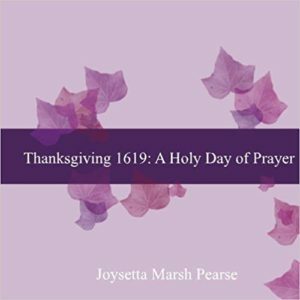 A telling of the Thanksgiving observance that pre-dates the traditional Plymouth, Massachusetts observance. The prayerful event took place at a plantation in Charles City, Colony of Virginia. 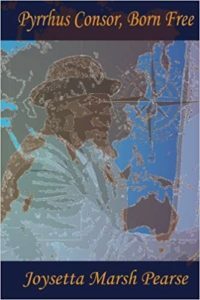 The documented facts of the life of an adventurous African American, Long Islander, whaler, sea pilot, 49’er, and ferryman; who also sailed into the port of Yeddo (Tokyo) Japan with Captain Mercator Cooper, in 1845. The Good, The Bold, The Beautiful: Brazil: The exposition of artwork by the internationally acclaimed Afro-Brazilian artist, Ernani Silva. 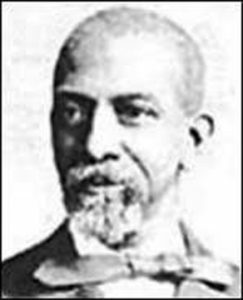 Terrence A. Reese (a.k.a. TAR) has created an unusual photographic exhibition. 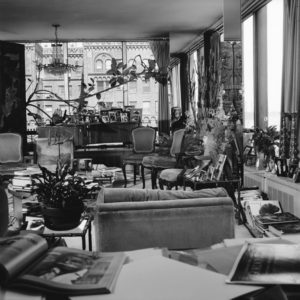 His portraiture features Americans of renown, in the density of their living space. His subjects appear in mirrored images. The viewer is given the amusing challenge to find the subject of each image. Some are more difficult to find than others, by design, but all are well worth the effort. Breathtaking art. Beautiful museum, warm and welcoming staff. 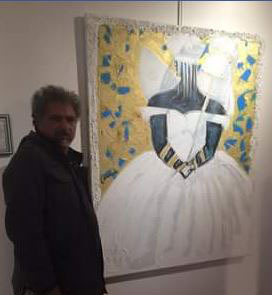 The works of Ernani Silva were amazing, and the background history with the painting and artist went very well. I will come again. Was informed about history I was not aware of. Very informative and will be bringing my reunion to this venue. Very interesting visit. Always new things and new people to learn about! Learned about African American influence and how greatly it has impacted today’s society. Was amazed as a black woman the lack of knowledge regarding my ancestors. It was awesome learning about Jennings.